My kids love Harry Potter! Especially my son, who has read the entire book series 3 times, seen all the movies numerous times, and told me he wished there really was magic since he was little. SO, needless to say, we wanted to go to Harry Potter World. As soon as we got to Universal we headed straight to Hogwarts. We had heard that was the best part and that the lines could get really long. It really is cool! I have seen all the movies myself, so I was pretty excited about the experience. I would have enjoyed walking through Hogsmeade a little more had I been Hagrid’s height though. So many people to see around. It felt pretty crowded. The line for The Forbidden Journey was over 90 minutes! So while I waited in line, I took lots of pictures and video. Head over to YouTube to watch the video if you want. The line was long, but interesting. We finally made it inside…for more line! 🙂 But the inside line had so many things to watch that it felt like part of the ride. 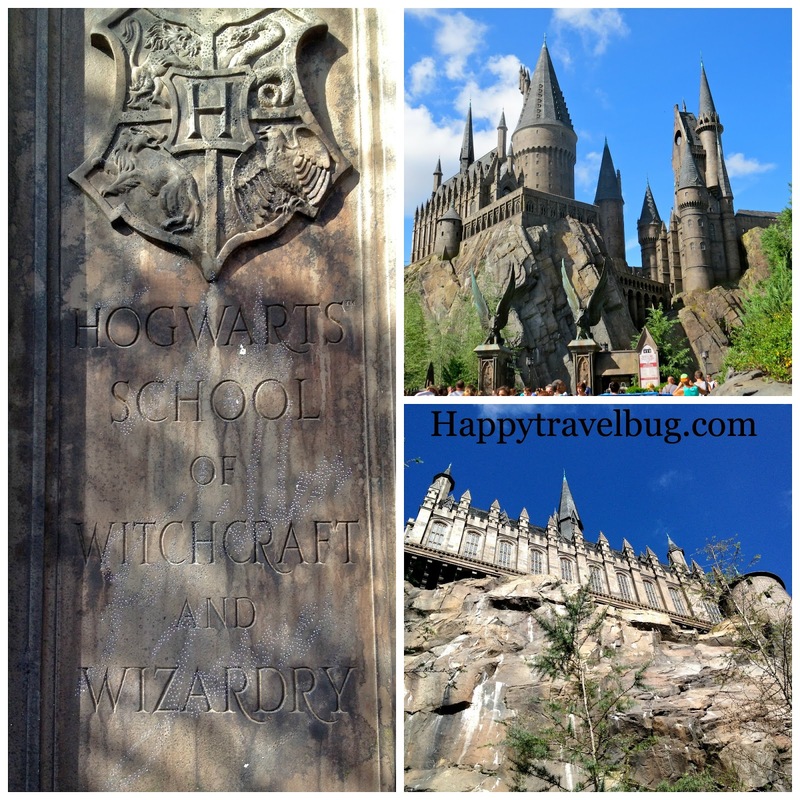 It’s like touring Hogwarts and you can do it without riding the ride or waiting in line outside. 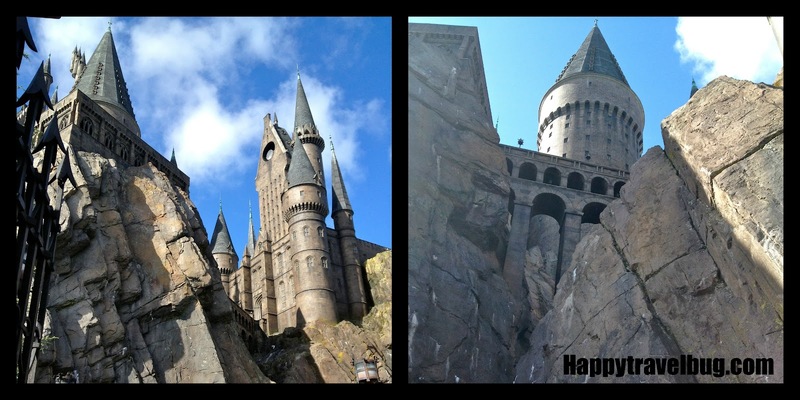 If you don’t like rides you should definitely tour Hogwarts anyway. 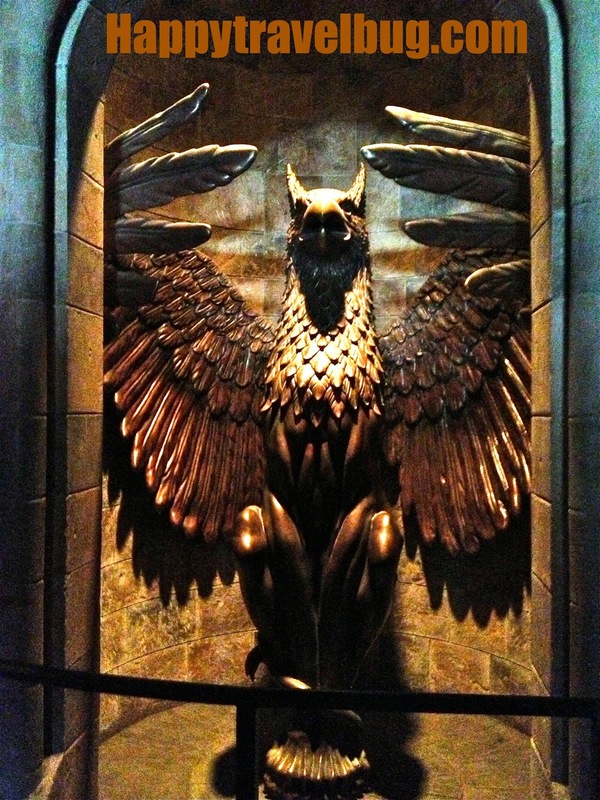 You will recognize a lot of things from the movies, like the Phoenix or the talking portraits. It is quite dark inside. Sorry for the terrible picture quality. 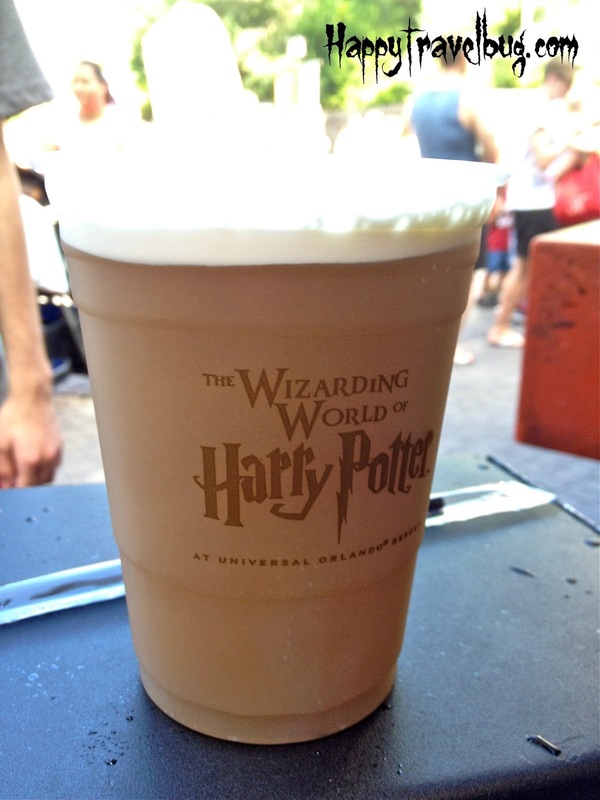 Of course we HAD to have a famous frozen butter beer! I was concerned we weren’t going to like it, but we loved it! Super yum! Even the creamy stuff on top. We mixed ours in after we tasted it and liked it even better that way. Since none of us really love crowds, we found a quiet place behind the restaurant and enjoyed our butter beer. That is it, below, under the canopy things. It was perfect! Once we were rested up, we did a little shopping in Hogsmeade. 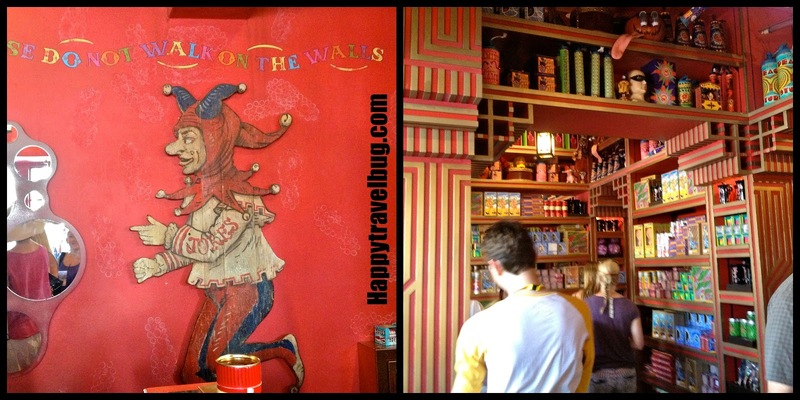 We checked out the yummy things at Honeydukes and the crazy things at Zonkos. Lots of interesting things to see and buy in Zonkos as well. I’m not into that stuff, but it was fun to look at, none the less. I’m not kidding when I say it was crowded. You couldn’t turn around without bumping into someone. So we headed out of Harry Potter World to check out the rest of Universal. We did the usual stuff you do at amusement parks. It was fun to see one that I had never been to before. It was quite hot and we were all pretty tired from exploring Harry Potter World, so I’m afraid we didn’t have much left to offer the rest of the park. We did ride The Hulk roller coaster sitting on the very back row (not on purpose). It was very shaky and we all hit our heads during the ride. Sadly, this caused my son and I to get massive headaches. Mine lasted a couple days, but his lasted almost four! Not good! I was expecting to spend the entire day at Universal, but we all were ready to go mid afternoon. 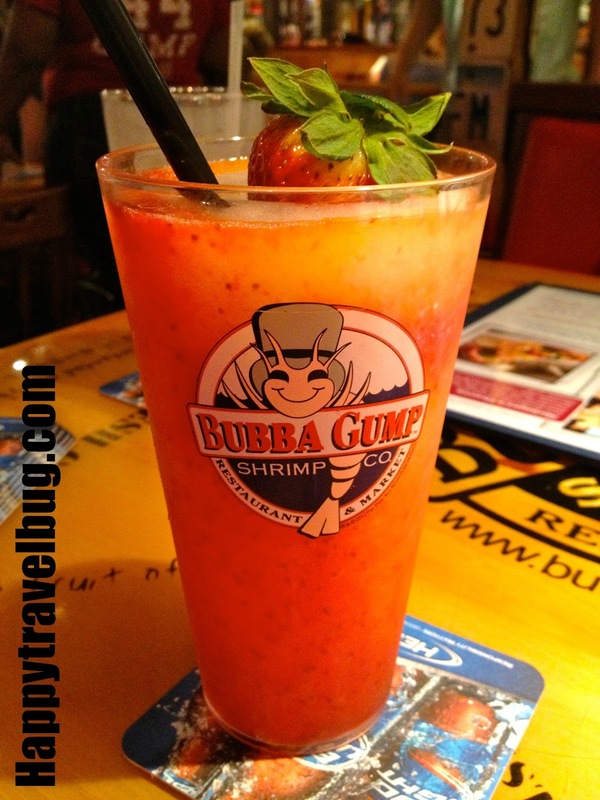 We popped into Bubba Gump’s at the City Walk for a late lunch. Just what we all needed! So what did I think of Universal? It was good, but without Harry Potter it would not have been as good. That was the highlight of the day for all of us. I feel bad that we skipped so much, but after getting a headache my son and I were ready to go. I would go back in a few years and try to do more of the park. As far as going back again and again, I will stick with my beloved Disney. How about you? Universal or Disney? I haven't been yet – but would only go for Harry Potter as well. I can see how that one attraction has made the park. ahh so jealous! I've been wanting to go there for years! Yes, that place in London looks awesome! I got to go to Harry Potter World when it first opened and the lines were insane. You definitely have to have a love for the series to want to go otherwise, it's kind of pointless. My son had read Harry Potter, but I was alone so it was an interesting visit. You are right, it wouldn't have the same effect if you weren't a fan. We love Universal; we were just there a couple weeks ago. Did you know they're building a new addition to the Wizarding World? It'll be Diagon Alley, and it'll be in Universal Studios; they'll have the Hogwarts Express connecting that and Hogsmeade, so you can go between the two. Can't wait for that to open up; hoping we'll be able to go back and see it some day. Great photos! Thanks so much for linking up to Inspire Me Wednesday! wow, what a set up, i'd love to visit Hogwarts, it looks pretty well done! I'd definitely do Universal over Disney. Sounds like you had a very full day. It was a full day, but a great one! What is your favorite Universal thing? I've never seen the "Harry Potter" movies (I know, I know!) and I wasn't aware that Universal Studios in Orlando has a Harry Potter World. But it definitely looks like an awesome place to explore! Crowds and long lines are a huge turn off for me so I'm not sure. Maybe if I had kids, I'd do it for them. When we did the marathon at Disney, it was just us the runners but we didn't have time to appreciate the park. Still that doesn't diminish the absolute magnificence of these parks. Great place for the entire family. I'm not a fan of long lines or crowds either, but I endure them to do this kind of thing. I've read the entire HP book series and watched most of the movies, but for some reason, I cannot get my kids to read them. I would personally love to go and explore HP World. I wonder if people who aren't fans (like the rest of my family) would enjoy it as much. Perhaps — if it wasn't too crowded. Whenever we head to Orlando, we always spend our entire time at Disney so have not made it to Universal ever. That is such a shame about the headaches, by the way. Oh, goodness, this makes me want to visit so badly! My husband is an uber Harry Potter fan and we hope to get to this park when we visit Orlando this Christmas. Thanks for the great virtual tour–it got me super excited to see it for myself! Happy to get you pumped up! Would love to hear how you like it when you do go! What a fun adventure for at least one trip for everyone.